It is interesting to look at Hertford carefully to see what a beautiful place it can be. It’s a shame that not many people take a little time to look at the interesting and varied character of the buildings and open spaces. The town has changed considerably over the last 50 years and the pace of change seems to increase with every passing year. Thus it is appropriate that these three people have combined their vast knowledge of the town and taken the time to produce this intriguing book. The authors have juxtaposed photographs from different years in the past with, as near as possible, the equivalent view today. Some of the old views of the town are published for the first time in this book. Insightful comments make you want to discover more about what the town was like in the past or how it has changed. Take the time to buy a copy and peruse its fascinating contents at your leisure. The ISBN number of the book is 9781445602721. 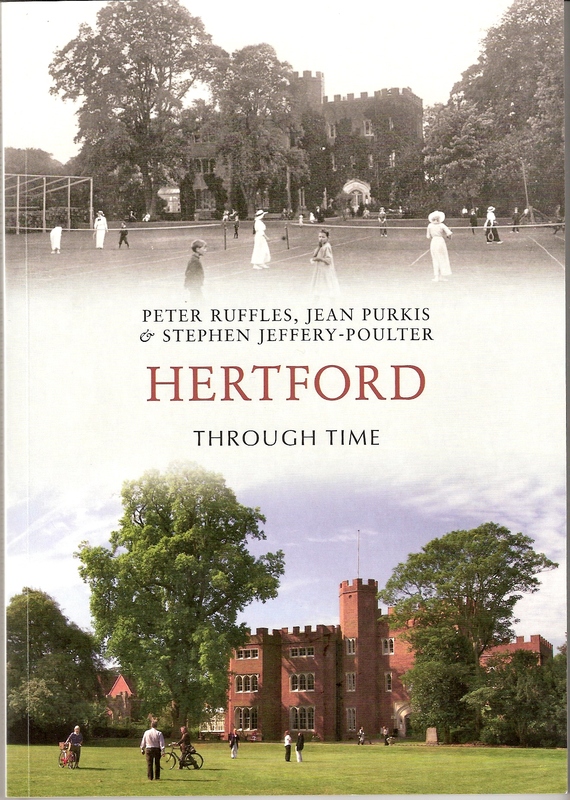 HERTFORD THROUGH TIME is available from Hertford Museum, price £14.99.